Do you have a candidate for the SAIGE Program? Seeking Native college students between the ages of 18 and 25. 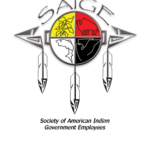 SAIGE is offering a limited number of scholarships for Native College Students to attend the 2017 Training Program, June 5-8, 2017 in Scottsdale, Arizona. The scholarships will include conference fee, airfare and hotel accommodations.